Earning your online MBA is a great way to accelerate your career path and your salary. One excellent specialization to consider is project management. There is a growing demand for business professionals who know how to plan, monitor, measure and adapt a business project from start to finish. Many of these programs will help you to prepare for your Project Management Professional (PMP) certification. With an MBA with a specialization in project management, you will find yourself with many excellent job opportunities with good pay. An MBA in project management allows the student to become a highly knowledgeable expert in how to organize and execute many types of business projects. You will focus on managing, defining and seeing through many different business projects to completion. The project management MBA is less focused on general business management, and more on the skillful management of individual business projects. These skills are very important for building a successful business career. According to US News and World Report, employers in many fields are looking for workers who have significant experience in project management. Employers say that having skills in implementing strategic change, handling cost management, and being able to manage the time of a team effectively, are very important today. A 2009 Economist Intelligence report stated that 90% of surveyed executives stated that good project management was important to their business. But only 37% stated that their company did a good job of project management. For most MBA programs specializing in project management, you will need to have at least a bachelor’s degree completed. Ideally, you will come into the MBA program with a business background, and will have taken courses in accounting, finance and statistics. You should have a GPA of at least 2.5, but you may need 3.0 or higher depending upon the quality of the MBA program. Also, you may need to have GRE or GMAT scores, but many online MBA programs today no longer require you to submit standardized test scores. Last, most MBA programs will expect you to have a minimum of three years of relevant business experience before accepting you into the program. A typical online MBA in project management will consist of several different parts. First, virtually every MBA program has a set of required classes that cover the core subjects of business management and related subjects. Typical subjects that are common to all MBA programs include economics, accounting for managers, statistics, quality management, and leadership. This program, like many others in project management, also features a project management capstone where you will synthesize what you have learned in a final project. Your career path after you earn your MBA in project management will largely depend upon you and the types of positions that you choose. Generally, employment in business and financial operations in the US will increase by 8% by 2024, with a total of 632,000 jobs being added. Financial analysts offer guidance to business and individuals who need to make investment decisions. They are highly skilled in assessing the performance and value of many different investments, including stocks, bonds and real estate investments. Many MBAs in project management find that they can find good work as financial analysts; it is very important for companies to have skilled project management professionals for their finance-related projects. The Bureau of Labor Statistics states that job growth in this field will increase by 12% by 2024. Also, the median salary for all financial analysts was $80,300 in 2015. Another popular career track for project management MBAs is management analyst or management consultant. These professionals need to have excellent project management skills. They advise upper level managers in companies on how to become more profitable and efficient. The job outlook for these workers is excellent: 14% increase in demand expected by 2024, and a median salary of $81,300. Southern New Hampshire University – This accredited, online MBA will introduce you to the concept of project, team based business models. This program is well suited for professionals who work in IT development, construction, manufacturing and consulting. 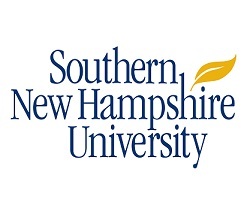 Southern New Hampshire University is a Registered Education Provider of the Project Management Institute. During this program, students will take the QSO 645 Project Management for PMP Certification test. Capella University – This online MBA in Project Management will help you to sharpen your project management skills in planning, risk management and procurement. This MBA program is accredited by the Project Management Institute, Global Accreditation Center for Project Management and was designed according to standards laid out in A Guide to the Project Management Body of Knowledge. You may complete this program in about 22 months, and you will be ready to assume many upper management project management roles. Colorado Technical University – This accredited university offers a Master of Science in Management, with a concentration in project management. This program will help you to develop the necessary leadership abilities and vision that you need to enjoy a dynamic career in project management. This online degree program incorporates all of the key elements that are contained in the Project Management Body of Knowledge, which is thought to be the standard for the industry, according to the Project Management Institute. American Intercontinental University – This MBA program in project management will stress the project phases and processes that are presented by the Project Management Institute. The courses in this online MBA program are design to help you in the development of your career goals, by helping you to build skills that are common in top project management professionals. Walden University – In this online MBA program with no GMAT, you will learn about all of the strategies that you need to effectively manage projects of all types and sizes. You will learn how to avoid typical project problems and put your project management skills to work in the real world. Norwich University – An MBA in Project Management from Norwich will give you the core management theories and concepts to succeed anywhere. You also will learn all of the project specific management skills that you will need to lead project teams. The curriculum covers the fundamentals of project management, and life cycle, procurement and communications. California InterContinental University – You can earn an online Master of Business Administration in project quality and management that will tell everyone in the business world that you are an expert in the field of project management. You will get a very intensive look at the business world in this program, and it will delve deeply into the details of project management that will give you a competitive edge. Grantham University – The Master of Business Administration – Project Management degree has a curriculum that is fully prescribed in the Project Management Institute’s Project Management Body of Knowledge Guide. In this no GMAT MBA program, you will learn how to evaluate project costs, analyze issues that are related to procurement and risk management, and engage in practical exercises that boost your organizational skills. Herzing University – This MBA in Project Management will provide you with the real world business skills that you need to balance all of the most important parts of a project, including money, scope and time. After you earn this online, no GMAT MBA, you will be able to be employed in a well-paying career in engineering management, financial management, and information systems management, among other possibilities. Brenau University – The Project Management MBA will prepare you for the highest project management responsibilities in many organizations and industries. You will be ready for a variety of professional certifications, such as those that are offered by the Project Management Institute. 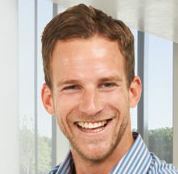 Ellis University – The project management specialization with the MBA program at this online university will demonstrate how you can use the latest project management principles and techniques to manage many large and small projects across many business applications.